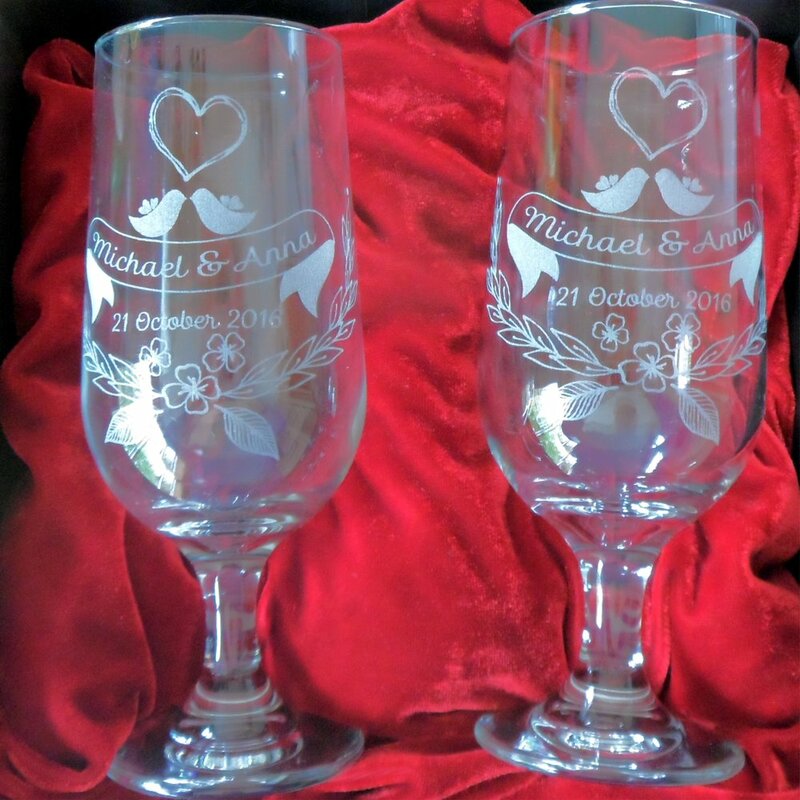 We can engrave round drinking glasses and mugs like Hi-Ball, whiskey, beer mug (357ml or 500ml) and tot/shot glasses, round jars, and coffee mugs. We prefer to supply the glassware & mugs. The rule is any image send to us must be black and white, as any part of the image that is black will engrave white on the glass as shown on the images on this page. The only exception to this is when engraving coffee cup or painted metal water bottles as the laser will remove the top layer i.e remove the paint from the cup/water bottle.